Beebe Healthcare’s Clinical Laboratory and Anatomic Pathology will observe Medical Laboratory Professionals Week, April 19-25. The week provides a unique opportunity to increase public understanding of, and appreciation for, clinical laboratory personnel. Quite often people do not realize the extent of patient care-related procedures that take place daily within all our laboratory’s departments. In fact, more than 75 percent of all medical treatments and diagnoses are based on laboratory findings, according to the American Society for Clinical Pathology. From its start in the 1920s to now, laboratory science has been playing an increasingly vital role in our healthcare culture. Our everyday procedures are enabling our community physicians to benefit their patients through accurate diagnosis and preventative awareness. 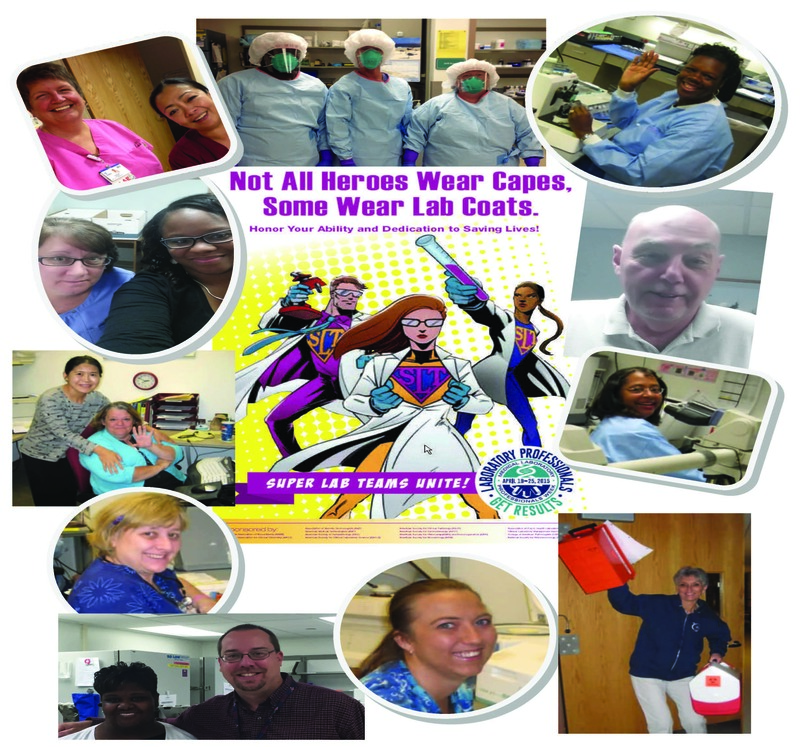 Medical Laboratory Professionals Week was established in 1975 as National Medical Laboratory Week. It is coordinated by a collaborative committee with representatives from 14 national clinical laboratory organizations, including The American Society for Clinical Laboratory Science (ASCLS). In fall 2005, the name was changed to National Medical Laboratory Professionals Week to emphasize the person whose expertise is needed in the performance of laboratory testing. Organizers deleted “National” from the title in 2012. Beebe Healthcare laboratory is staffed by 75 team members working in roles that include, but are not limited to: phlebotomist, laboratory assistant, medical technologist, specimen processor, client services representative, transcriptionist and courier. Beebe also has three pathologists on staff. The laboratory has received accreditation from the College of American Pathologists and our Blood Bank holds aabb accreditation. Beebe’s lab is also Clinical Laboratory Improvement Amendments (CLIA) certified for Point of Care testing, Microbiology, Serology, Immunology, Chemistry, Urinalysis, Endocrinology, Toxicology, Hematology, Transfusion Medicine, Histopathology, Cytology, as well as several other subspecialties.